If the phrase “alt-right” puts you in mind of a computer keyboard, you are (blessedly) not following the presidential campaign. Even if you are aware of the phrase, though, you may not have a good handle on what it means. For good reason. Many don’t. It’s a hazy phrase. The term, which is shorthand for “alternative right,” has been in circulation for several years, but it enjoyed a recent moment in a particularly bright spotlight when presidential candidate Clinton, in a speech, sought to make a distinction between mainstream Republicans and what she characterized as holders of a “racist ideology,” i.e. the “alt-right,” who she says are a major base of support for her opponent. The “alt-right” movement – if it can even be given a label implying some unifying philosophy – means different things to different people, as it includes disparate elements. What those elements generally share is a dedication to family values; a reverence for Western civilization and rejection of multiculturalism; an embrace of “racialism,” the idea that different ethnicities exhibit different characteristics and are best segregated from one another; and, consonant with that latter credo, opposition to immigration, both legal and illegal. Mrs. Clinton referenced the alt-right because her rival Donald Trump recently named a new campaign chief, Stephen Bannon, the former executive chairman of Breitbart News, a conservative website some have associated with the group. Certain of Mr. Taylor’s beliefs may resonate with some Orthodox Jews. We may rightly eschew racism (seeing black Jews, for instance, no different from white ones), but we tend to be less than enamored of some elements of various minority cultures; we deeply value ethnic cohesion, preferring to live in neighborhoods among “our own kind”; and we have serious problems with certain elements of “progressive” western civilization and multiculturalism. That sentiment though, is not typical among others under the alt-right umbrella. And even Mr. Taylor has permitted people like Don Black, a former Klan leader who runs the neo-Nazi Stormfront.org web forum, to attend his conferences. He may or may not endorse Black’s every attitude, but neither has he rejected his support. Back in the 1960s, the John Birch Society, then dedicated to the theory that the U.S. government was controlled by communists, was condemned by the ADL for contributing to anti-Semitism and selling anti-Semitic literature. 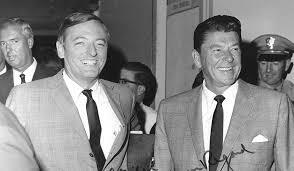 The brilliant and erudite William F. Buckley Jr., the unarguable conscience of conservatism at the time, recognized the group’s nature, and the threat its extremism posed to responsible social conservatives. In the magazine he founded, National Review, he denounced and distanced himself from the Birchers in no uncertain terms, contending that “love of truth and country call[s] for the firm rejection” of the group. It is ironic that it has fallen to the Democratic presidential contender to make a distinction between responsible Republicanism and the current loose confederacy that includes haters. This entry was posted in Anti-Semitism, News, Personalities, Politics on September 9, 2016 by Rabbi Avi Shafran.